In spite of their massive success, some performers just can’t get into superhero movies. Actor and comedian Marc Maron has repeatedly expressed a dismissive attitude toward the genre in various episodes of his WTF podcast. So it came as a bit of a surprise when director Todd Phillips recruited him for the Joker movie. 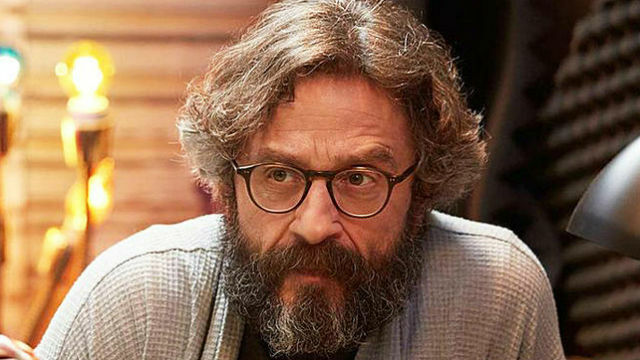 While speaking with NME, Maron discussed what attracted him to the film and explained what sets it apart from other comic adaptations. Maron went on to describe what it was like to work with the film’s impressive cast. It’s also worth noting that NME’s article reveals that Maron is playing a character named Ted Marco in the film. Unfortunately, no other details were given about the nature of his role or what his relationship is to Phoenix’s Joker. Joker will laugh its way into theaters this fall. You can share your thoughts on Marc Maron’s latest remarks in the comment section below! Tags: dc, Joker, Marc Maron, warner bros.